Everything is late this year. In fact, here is Bill finishing up trimming some raspberries that were not tended to last fall. There has been little greening so far this year, so no harm was done. Marcia is weeding another part of the area. Despite deep freezing of the ground and several below-zero nights, the weeds, of course, survived and growth is well underway. 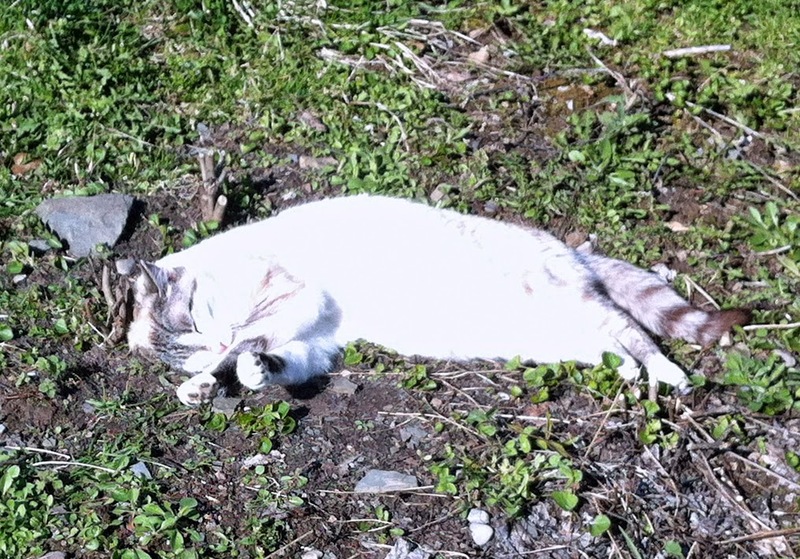 Our feral barn cat joins us, sort of, and enjoys stretching and rolling in the sunshine. She continues to avoid human touch and is still "our friend at a distance."